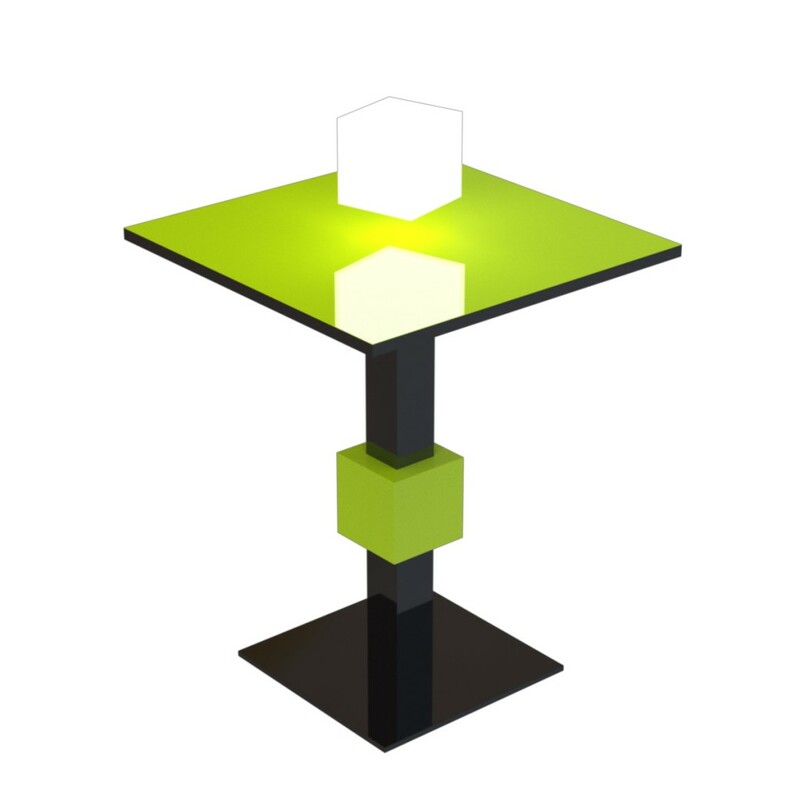 This tea table features a play of one of the most characteristic shapes of the creative poetry of Pierre Cardin – the square. In this piece, the table top is a decorative element positioned halfway up the aluminium support. The objective is to create a light, fresh feeling through the use of simple, basic and brightly coloured elements on a black structure.